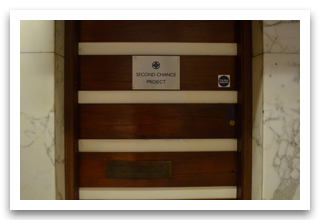 The Second Chance Project is a structured day treatment programme for people with drug and/or alcohol problems by providing high quality, abstinence-based treatment options which integrate 12-Step Recovery Programmes, CBT and other appropriate therapies. The project aims to provide people with purposeful recovery by securing and supporting their alcohol/drug free life and also in developing personally rewarding structured training, counselling and self-help, which will provide real benefit to them, their families and the community. STRIVING - TO GIVE INDIVIDUALS THE TOOLS TO CHANGE THEIR LIFE. TO IMPROVE COMMUNITIES BY EMPOWERING INDIVIDUALS TO REALISE THEIR FULL POTENTIAL AND BE PART OF THEIR COMMUNITIES AS A PRODUCTIVE MEMBER OF SOCIETY. ENCOURAGEMENT - THROUGH POSITIVE EXAMPLES ‘IF WE CAN DO IT, SO CAN YOU.’ THROUGH HONESTY, EMPATHY, CARING, LISTENING AND UNDERSTANDING. COMMITMENT - WE ENDEAVOUR TO BE CONSISTENT IN ALL OUR AFFAIRS AND GIVE A HIGH LEVEL OF SERVICE TO ALL OUR PROGRAMME PARTICIPANTS. OPEN-MINDEDNESS- WE WILL SUPPORT PEOPLE TO LOOK AT THEIR BELIEF SYSTEMS AND FIND OUT IF THEY ARE HEALTHY OR UNHEALTHY AND LOOK AT WAYS OF CHANGING THE UNHEALTHY. THROUGH EXPERIENCING POSITIVE ALTRUISTIC ACTION ONE’S BELIEF WILL CHANGE. NEW SPIRIT - WILL BE FOUND BY INCREASED SELF-ESTEEM, SELF-RESPECT, SELF-CONFIDENCE AND SELF WORTH. TO HAVE A RENEWED SENSE OF PURPOSE, INCREASED PERSONAL RESPONSIBILITY AND CONCERN FOR OTHERS. DIGNITY/DIVERSITY - AN ENVIRONMENT THAT VIEWS DIVERSITY AS A STRENGTH. RESPECTS ALL RACES, GENDER, RELIGIONS AND SEXUAL ORIENTATIONS. BECOME UNITED IN RECOVERY AND TO BE INCLUSIVE RATHER THAN EXCLUSIVE. GETTING IN TOUCH WITH YOUR OWN MORALS AND VALUES. 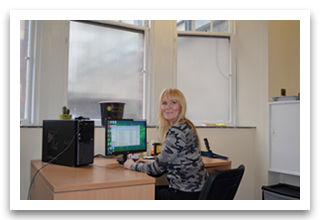 Extends a service users time on ORT, feel more comfortable within the project and/or understand the ethos of abstinence so an informed decision can be made i.e whether or not to move onto Phase 1 and maintain abstinence as a lifestyle choice. Lasts for 5 weeks and participants attend on a Monday, Wednesday and Friday from 2-4 on each of these days. Group work such as: what is addiction, communication skills, an introduction to Step1-2-3, what is denial, the ABS Model and how to cope with cravings. The programme participants attend 6 group works per week and a 121 session. Lasts for 4.5 months and participants attend on a Monday, Tuesday, Thursday, and Friday from 10-1pm. 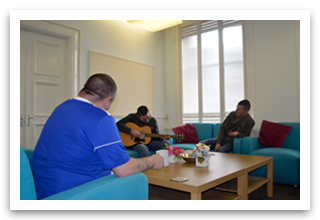 The main focus of the group work is identifying ones feelings and breaking denial regarding a service users substance misuse. The Phase is known within the project as the most beneficial for maintaining long term abstinence based recovery. Lasts 6 months and participants attend on Tuesday, Thursday afternoons. 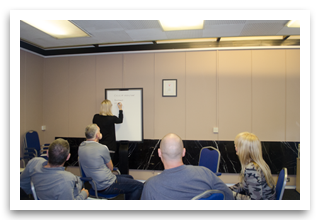 By this point in the service users journey they will have begun building upon their Recovery Capital by accessing voluntary, educational or employment opportunities and being fully embodied in 12 step groups such as Alcoholics Anonymous, Cocaine Anonymous and Narcotics Anonymous. "Second chance helped me to understand my addiction. I no longer feel alone or fear my future."